I'm Bob Whitelock, and I have been a locksmith for over 32 years and I've made a career out of helping people in emergency situations. I want to be your locksmith! I know what it feels like when you lose keys, have your possessions stolen during a break-in, or simply have a lock fail. In that moment, you need and deserve a calm professional ready to assist you with candid advice and a competitive price that won't leave you feeling like a victim all over again. I'll get you in, or lock out the undesirables. Call today to schedule additional security or to purge a key that's been circulating for too long. If it has to do with hardware of any kind, I can handle it! My forte is high-end installations of Mortise locks and bolts from Baldwin to Schlage and all brands in between. I can find the ideal design you're looking for and install it perfectly. Have your designer call me! I also replace and adjust door closers, electric strikes (door buzzers), mailboxes, and any kind of locking mechanism out there. I can set up up a Master System in your building and get your life down to one key. I can install various grades of key-less combination locks too. I am always happy to talk on the phone and share my vast knowledge of locks and security with you. I am a sole proprietor. I answer the phone, discuss your situation and actually do the work myself. I'm not not satisfied until you're happy! I accept Visa, Master Card, American Express, a local Check, and good old fashioned Cash. I look forward to meeting you and solving all your security needs when it's convenient for your schedule. Thanks for visiting my web site. Please E-mail Me with additional questions or Call Me during business hours for an immediate response. I can help you find the right design for your project! Your personal Hardware Consultant! Go key-less at an affordable price. Ask me how! I will set up and track your Master System and provide code-key service for future duplications that actually work great. Let me put your house/condo/apartment on one key or make your entire building accessible with one Master Key and Separate Unit and Front Door Keys. You tell me how you want it to work, and I set it up and key it that way. Contractors! Hire me to do your lock installs and free your carpenters up for other projects. I'm usually faster and can also save time with repairs since I have all the parts at my disposal. Call me with your situation and we can make a deal that will benefit both of us. 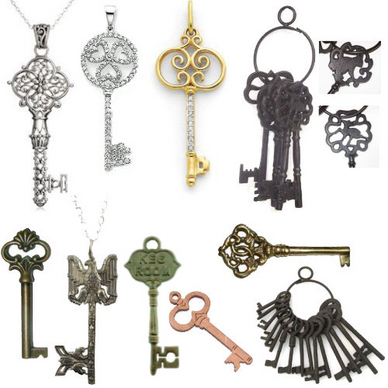 I also work on antique locks, although some key blanks are no longer available. I have many years of experience with "Skeleton Keys" and old interior mortise locks. Yes, I am "Old School." Lose a bike key...I'll cut it off or drill it so you can buy a new lock and be peddling along your merry way. I can sell you padlocks that work on your house key too! Just call me and ASK AWAY!